This all new colorway of the Nike Air Griffey Max 1 is set to release next month. 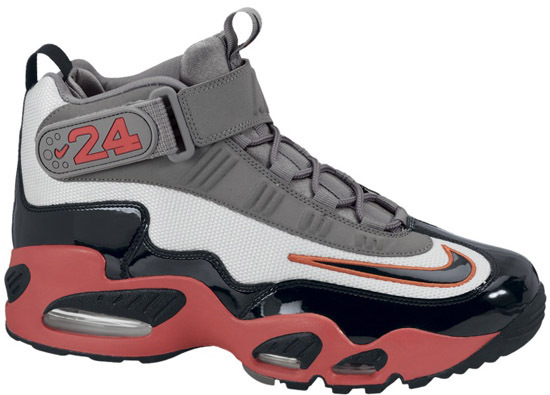 The return of the Nike Air Griffey Max 1 is in full affect. With a few new colorways out now, that is just the beginning. Expect a few more colorways to release throughout the year, including this "Cincinnati Reds" edition, a team Griffey played for during his MLB career. Coming in a pure platinum, black, cool grey and pimento colorway inspired by the Reds team colors. They feature a grey, white and black based upper with pimento red accents. A general release, look out for these at select Nike accounts worldwide on Saturday, June 1st, 2013. Retail is set at $150 for men's sizes and, they will also be available in full family sizing all the way down to infant. Enjoy the official images of the "Cincinnati Reds" Nike Air Griffey Max 1 in pure platinum, black, cool grey and pimento below. If you're interested in picking these up when they release, be sure to check in with you local spots to see if they will be receiving them. Those of you looking for a pair now can, click here to buy them on eBay.